Drama club puts a high-tech, low-budget twist on their annual project. The students of Sonora Elementary School sure have. In a mock documentary which incorporated more than 100 students, the school's drama club practiced technological and teamwork skills while producing a feature-length movie about the fabled monster for its annual production. "Any play you can get kids to participate in is great, but the further you can get them to think outside the box — just think of all the things you can expose them to," said parent and project co-advisor Donna Robb. Robb and fellow parent Angela Jackson-Brunning choose a "mocumentary" for the annual project of the drama club because it would expose the maximum number of children while keeping production costs minimum. "You have no idea what you can do with a simple camera, a little elbow grease and good people," Robb said. 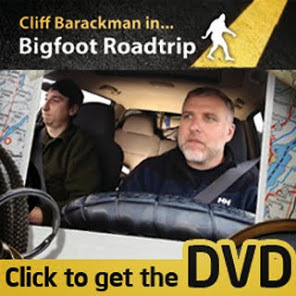 Students and teachers from kindergarten to sixth-grade classes were "interviewed" on the whereabouts of Bigfoot — while the young documentarians tried to sort out widely varied and ad-libbed descriptions from classmates and teachers, like ape-like, blue-eyed and even three-eyed. "The teachers really ran with it and we were really surprised by how much fun everyone had with their parts," Jackson-Brunning said. The students were encouraged to go outside their comfort zone by talking to new classmates and faculty to make the film. Additionally, many students who wouldn't ordinarily like drama found the process fun and appealing, Robb said. "It was hard work, but I learned that hard work pays off," said sixth-grader Julian Jackson-Brunning. "The movie is awesome." The film was produced over three months; the students filmed on 20 different days around campus and at events with the help of Robb, Jackson-Brunning and other parents. The much anticipated movie premier was Friday at Costa Mesa High School's auditorium, which has a little more of a "Hollywood" feel than Sonoma's, Robb said. The event was complete with a red carpet entrance to the auditorium. The would-be actors' performances in the mocumentary had the audience laughing through the film, especially for the closing bloopers reel. "We wanted to do something that everyone could have fun with," Robb said, "and let's be honest, no one wants to see the same play put on every year, either." DVDs of the film are on sale through the Sonora drama club for $5. For more information, call the school at (714) 424-7955.